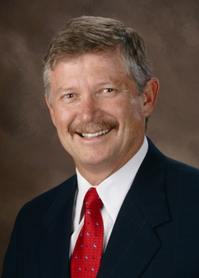 Dr. Don Wilton has served as senior pastor of the First Baptist Church of Spartanburg, South Carolina since 1993. He also serves as president of The Encouraging Word television ministry. This ministry reaches thousands of homes through the regional CBS-affiliate, WSPA-TV, and millions of homes both nationally and globally through the broadcast of The Encouraging Word. Dr. Wilton’s messages are also available on the Internet here. He has written and published many manuals, articles, and reviews for the Southern Baptist Convention, Preaching and Decision magazines, as well as other publications. He has authored, The Absolute Certainty of Life After Death, See You at the Finish Line, Totally Secure, When God Prayed, A Hope and a Future: Overcoming Discouragement, Praying for a Miracle, Encouragement In His Presence, Defying the Odds: Standing Up When You Want To Give Up; and Undefeated: God’s Strategy for Successful Living. Dr. Wilton has served as president of the South Carolina Baptist Convention and is a frequent speaker for the Billy Graham Evangelistic Association at the Billy Graham Training Center at The Cove, as well as the Billy Graham Schools of Evangelism held around the world. Don and his wife, Karyn, have three grown children: Rob, Greg, and Shelley. Rob and his wife, Annabeth, have four children, Bolt, Mack, Birk, and Carolina McCall. Greg and his wife, Abby, have four children, Max, Charlie, Oliver and Gabby. Both Rob and Greg are being used mightily in the Gospel ministry and Shelley is serving with Franklin Graham’s Samaritan’s Purse.